2013 ended with depleted reservoirs and a low snowpack. 2014 got off to a slow start and the trend continues. About 35% of the rainy season is ahead of us, but the snowpack is only at 25% as of Feb. 15. The forecasted water runoff from April through July is expected to be 40% of average compared to 85% at this time last year. Water year runoff is predicted to be only 35% of average. 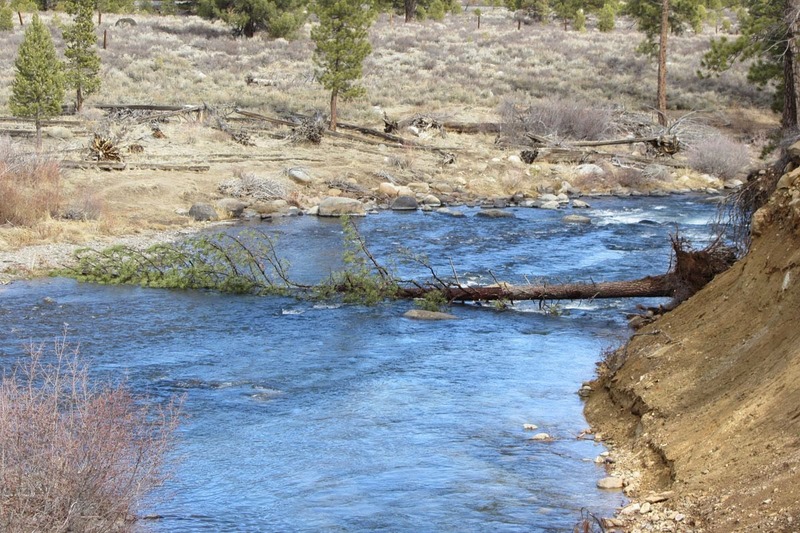 Low flow on the Truckee River, Truckee. The snowpack is 25% of normal compared to 90% last year. Reservoir storage is about 65% of average compared to 105% of average last year. The number was 50% in 1991 and 55% in 1977. Weather forecast: Snow for Tahoe early 2/16, and next week 2/18. The State's reservoirs are low and the snowpack is below normal. California has a water problem.